A typical facade in Victoria with a green oriel, windows with green shutters and doors illuminated by warm morning light. 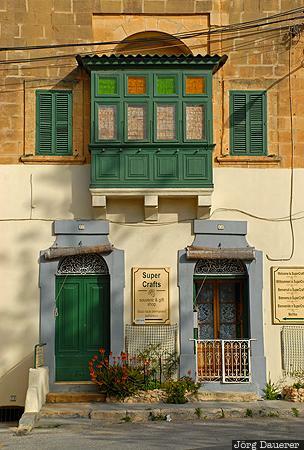 Victoria is the capital of Gozo. Gozo is an island in the Mediterranean sea that belongs to Malta. This photo was taken in the morning of a sunny day in March of 2009. This photo was taken with a digital camera.